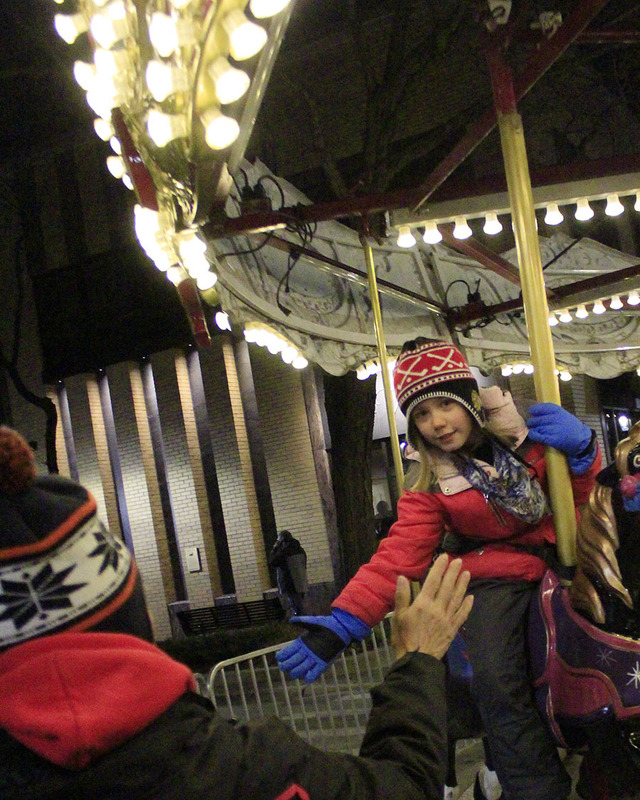 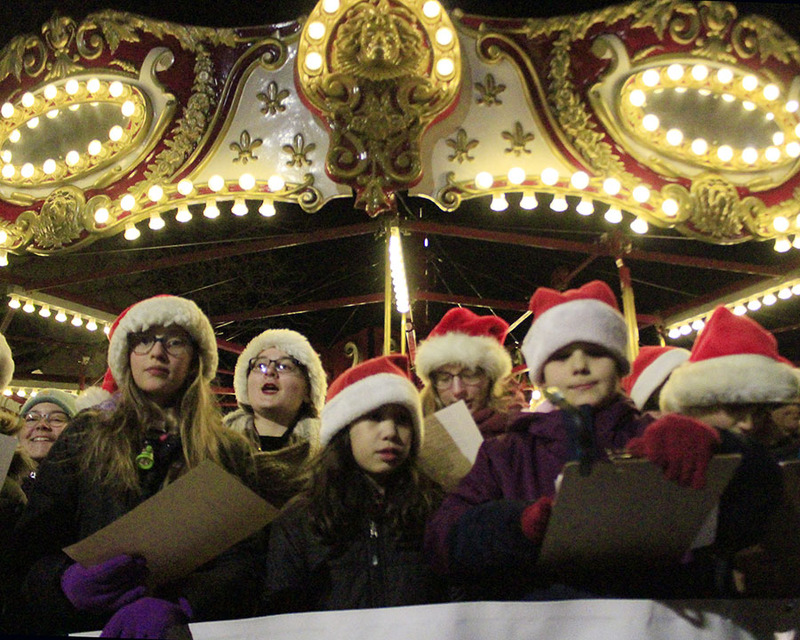 The Grand Prairie Children's Choir sings in front of the carousel at Holiday Lights in Homewood. 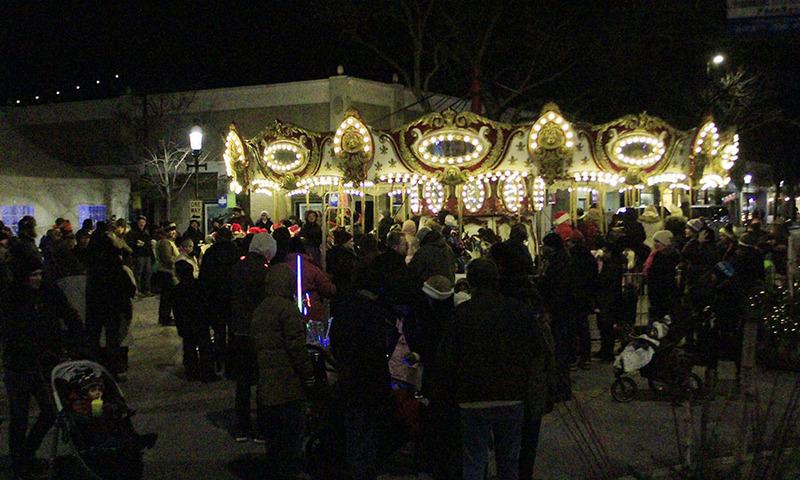 The carousel in the intersection of Ridge Road and Martin Avenue was a popular new addition to the festival. 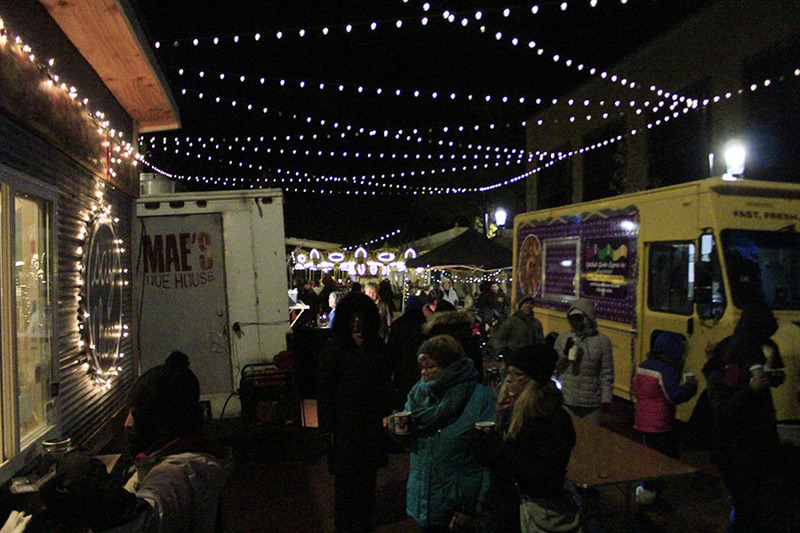 Food trucks line Martin Square during the festival. 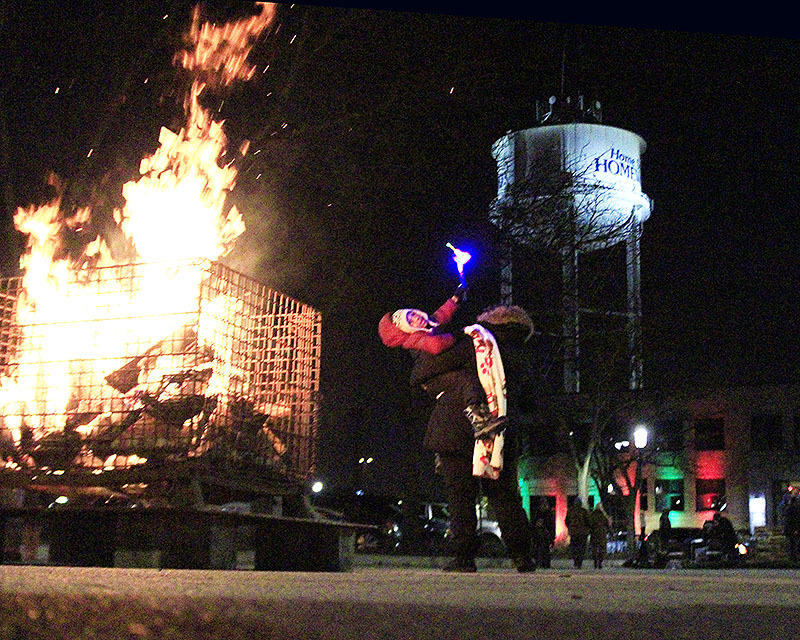 The temperature was about 15 to 20 degrees colder than during last year's event, but roaring bonfires at various locations gave people a chance to warm up. 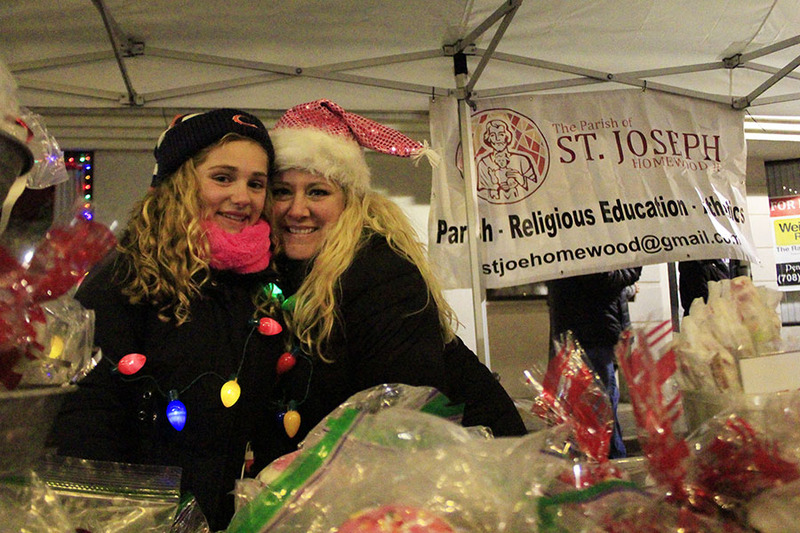 Alayna and Jennifer Frangella pause for a quick hug while working at the St. Joseph Youth Group table, where they served hot chocolate, reindeer food and other winter goodies. 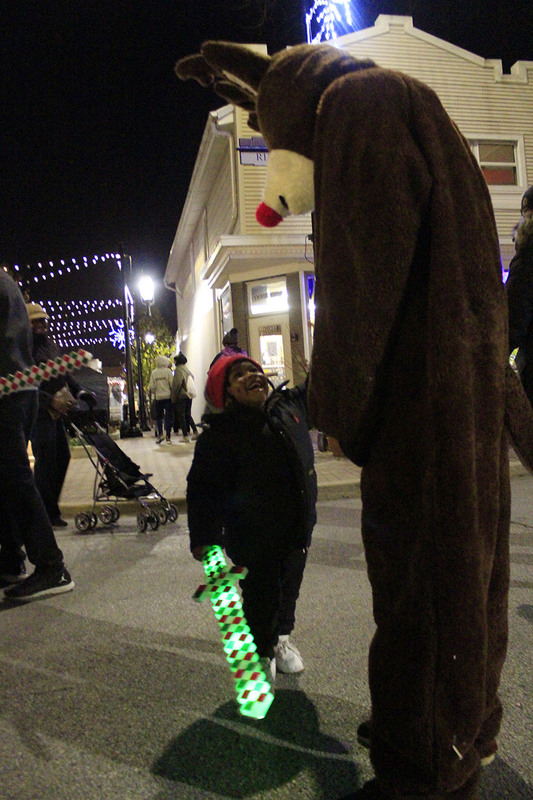 Aston Bowens of Homewood greets a reindeer character during Holiday Lights. 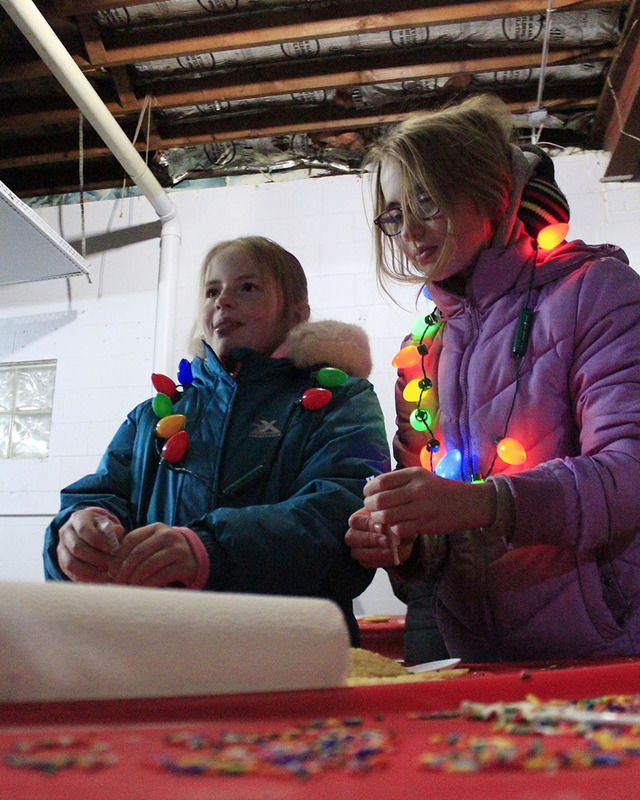 From left, Lydia and Nora Vargo decorate cookies at the Homewood Science Center. 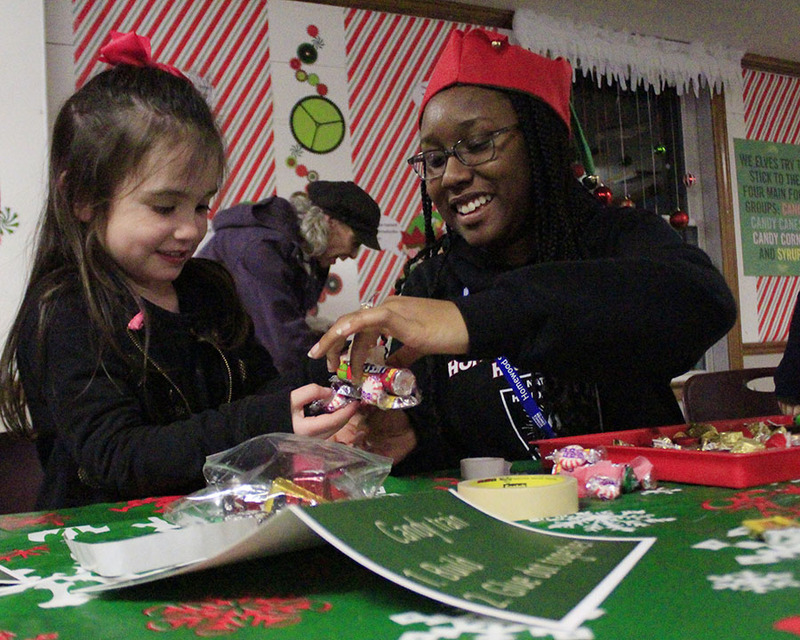 Homewood Science Center volunteer Kennedy Curtis, right, helps Pressley O'Brien with her candy train. 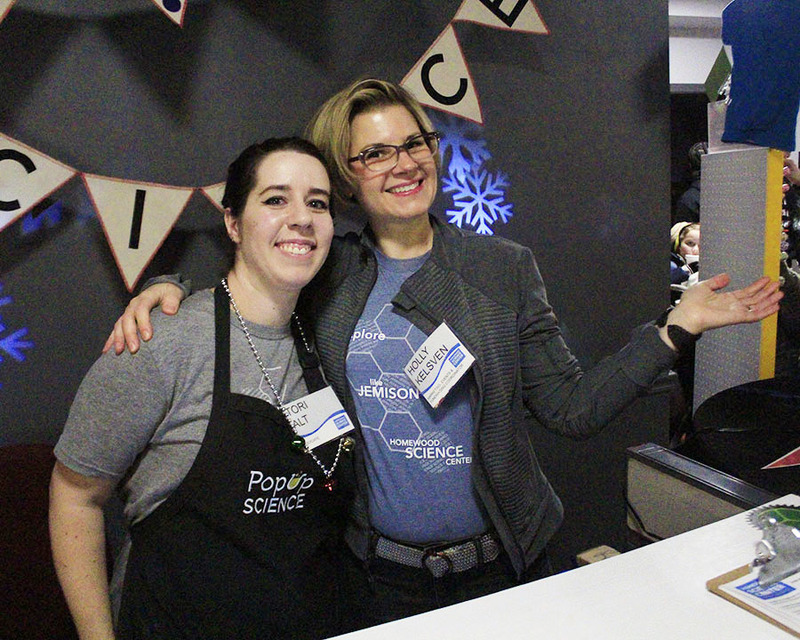 Science center staffers Tori Alt, left, and Holly Kelvsen on duty in the center's holiday science store. 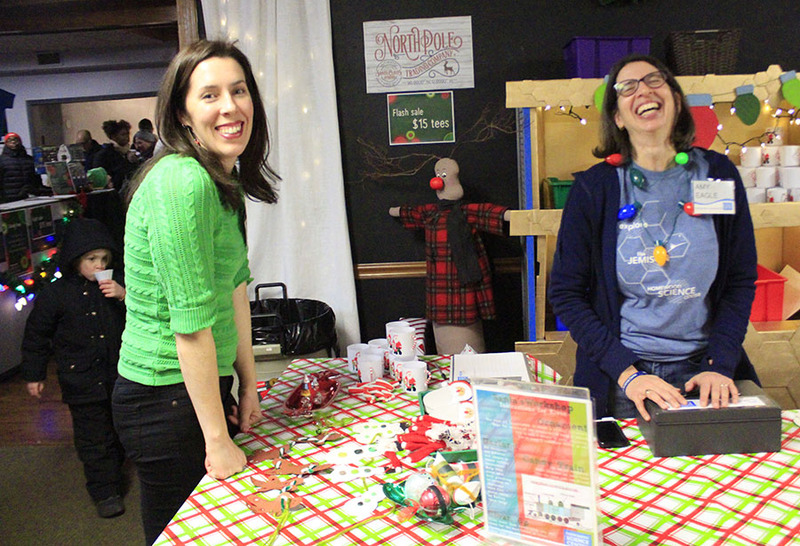 Science center staffers Kate Purvis, left, and Amy Eagle on duty in Santa's Workshop, where kids could make ornaments or candy trains. 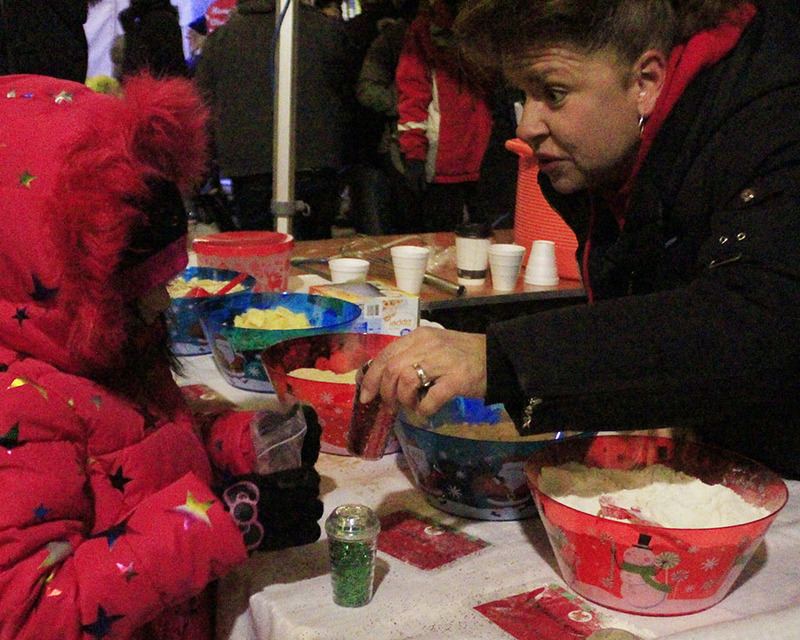 Cynthia Rivera, 6, of Matteson, gets help making reindeer food from Michele Kossak, a volunter at the St. Joseph Youth Group table. 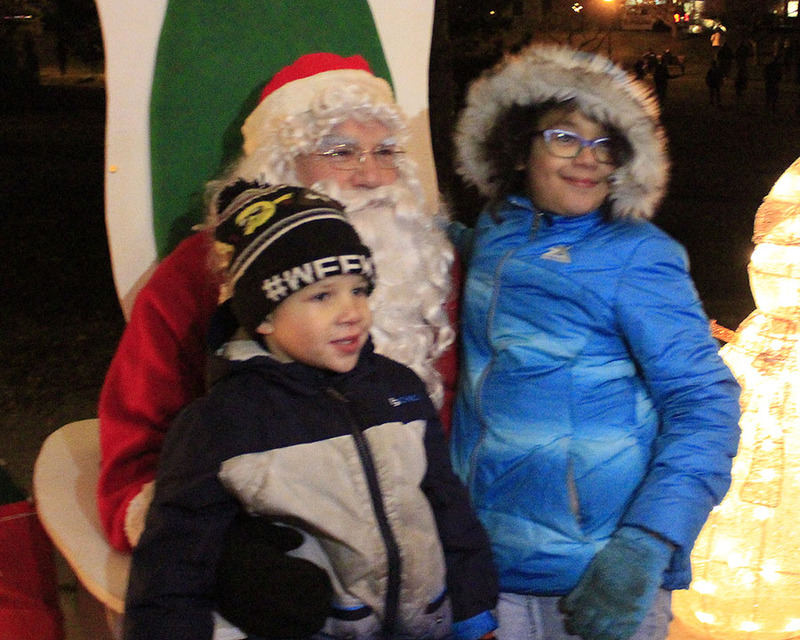 Bennie and Joycelyn Cole of Homewood are the first kids to see Santa Claus at the tree-lighting ceremony in Irwin Park. 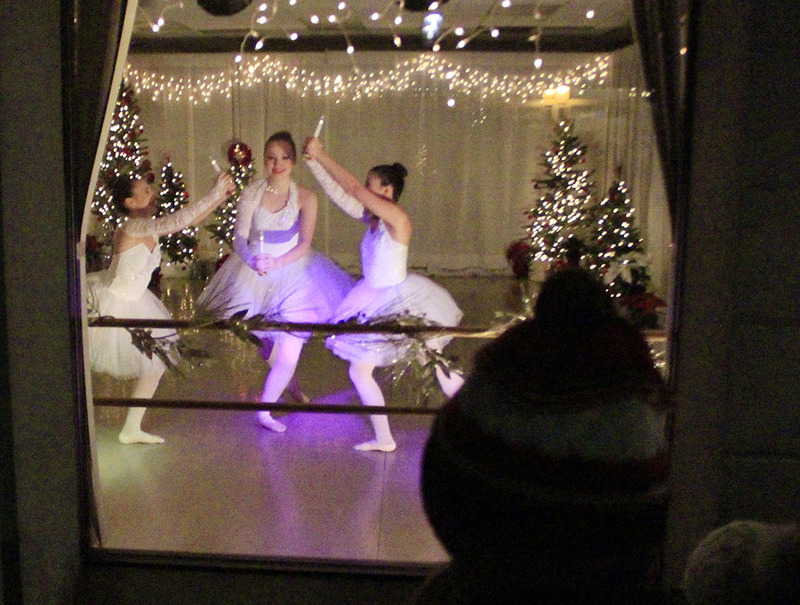 Dancers perform in the American Dance Center on Ridge Road while crowds gather to watch through the studio's display windows. 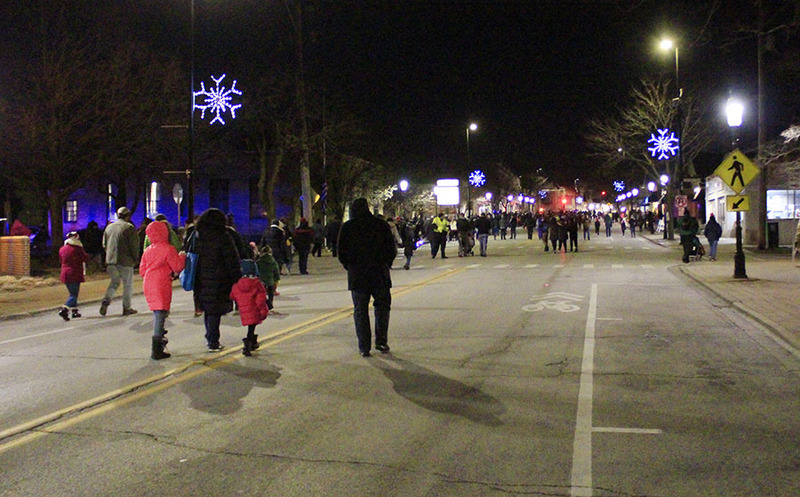 People walking from Irwin Park to the festival downtown are able to stroll in the street. 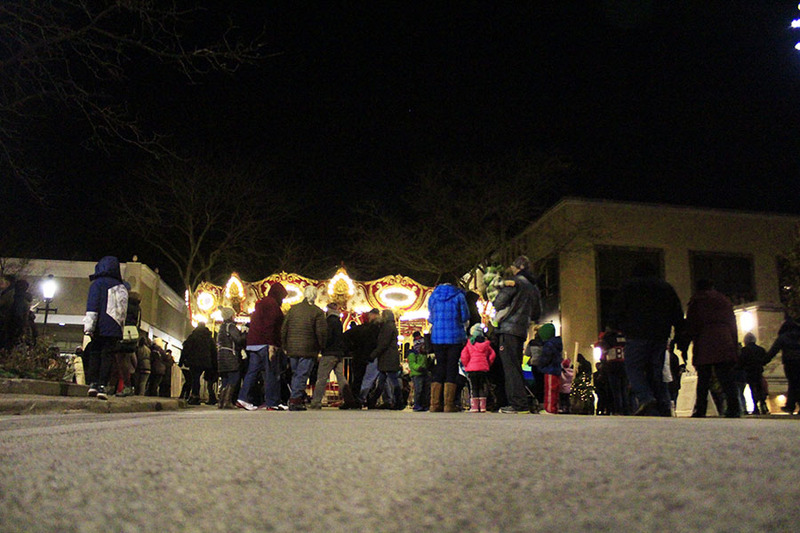 Ridge Road was closed during the event this year to increase safety. 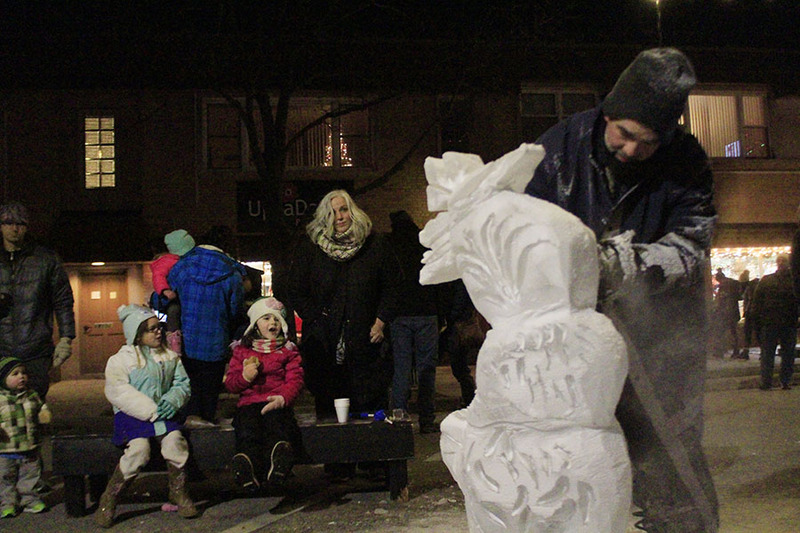 An artisan from Nadeau’s Ice Sculptures puts on a sculpting demonstration on Martin Avenue. 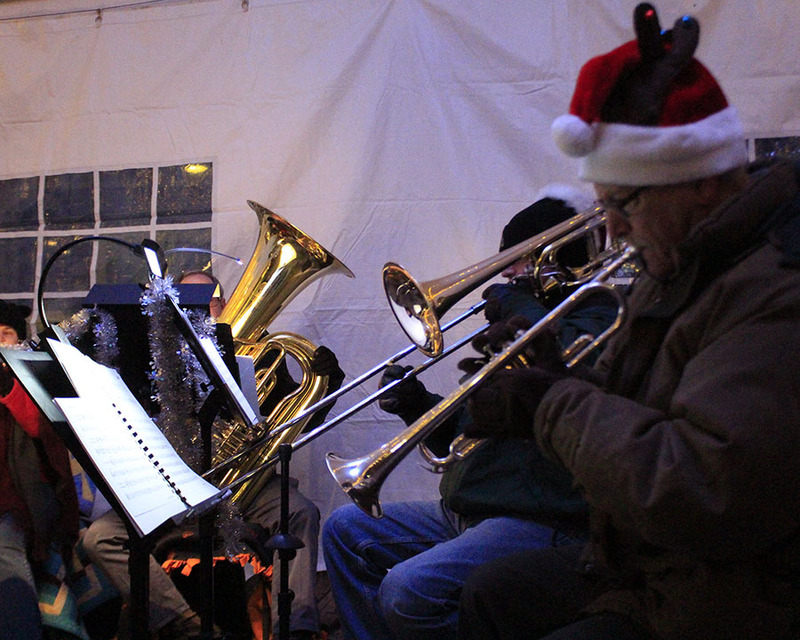 The reindeer were unable to attend, and the temperatures were at least 15 degrees colder than during last year's event, but Holiday Lights in Homewood on Friday night appeared to be a big success nevertheless. 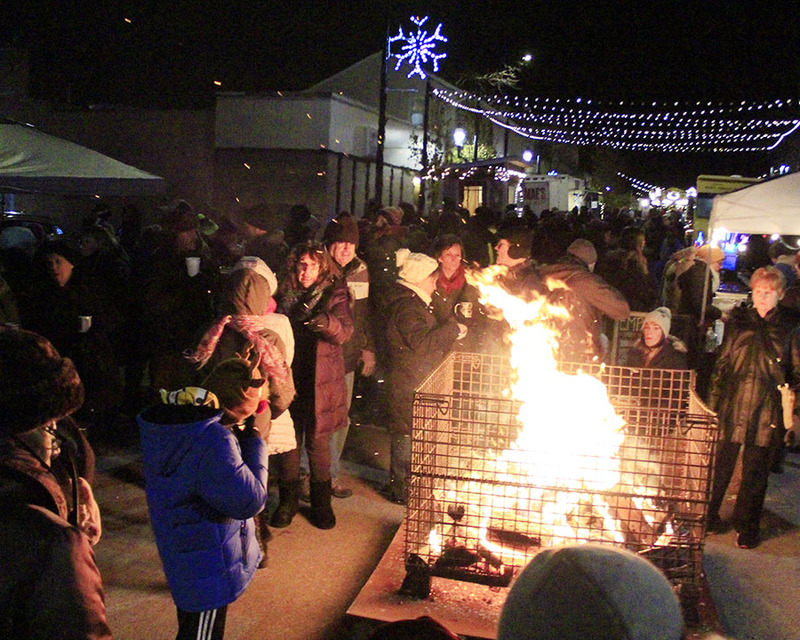 Homewood's holiday celebration will offer a pair of opportunities for the community to come together and celebrate the season. 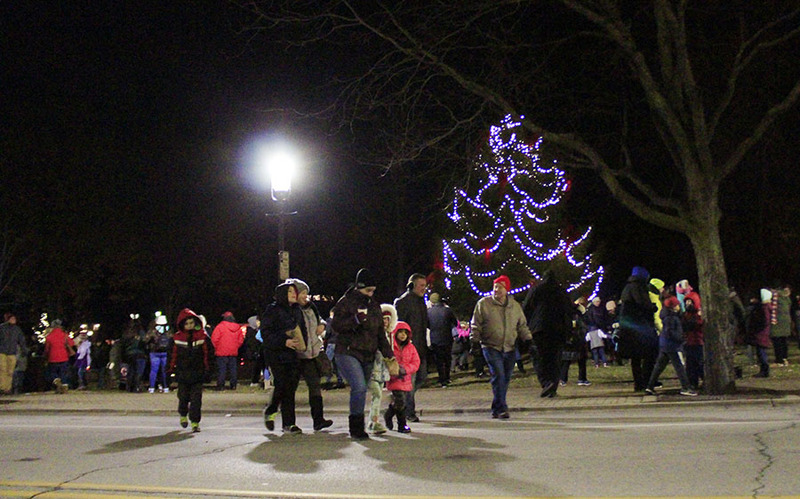 Holiday Lights festivities will run from 5 to 9 p.m. on Friday, Dec. 7, and Miracle on Martin Avenue will take place from 2 to 6 p.m. on Saturday, Dec. 15. 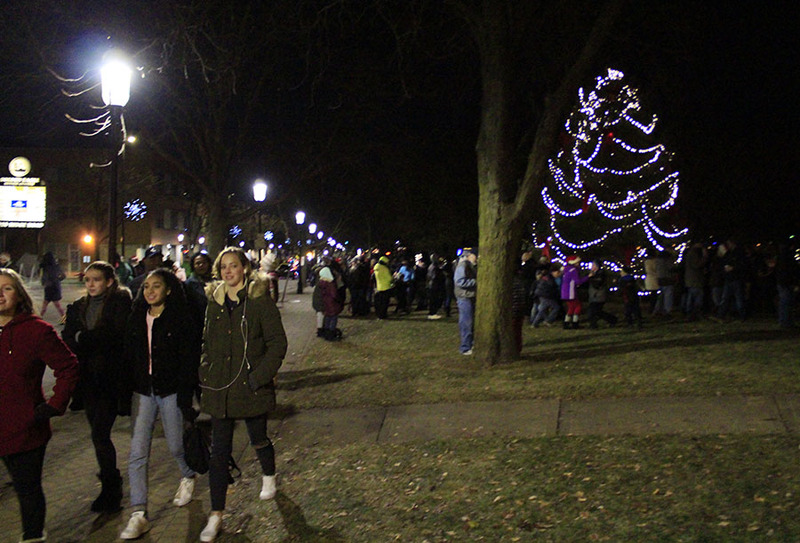 The holiday season returns to downtown Flossmoor with a host of Winterfest activities on Dec. 9 from 2 to 5 p.m.